Nano Science & Nano Technology: An Indian Journal is a multidisciplinary, Peer-reviewed, Open Access journal, publishes scholarly articles on advanced research in Nano Science and Nano Technology and related fields. The articles will be managed electronically, examined by a scientific committee and anonymous evaluators and published every month in HTML and PDF formats. •	Emphasized global dissemination of information by scientists, academicians, Research Scholars, with respect of current inventions, developments in the field of Nano Science and Technology. •	Journal seeking for papers of outstanding significance, ground-breaking discoveries in Nano science & technology which covers broad coverage of both fundamental and applied research, including aspects of Chemistry,Physics and Biology as well as Material Science and Engineering. 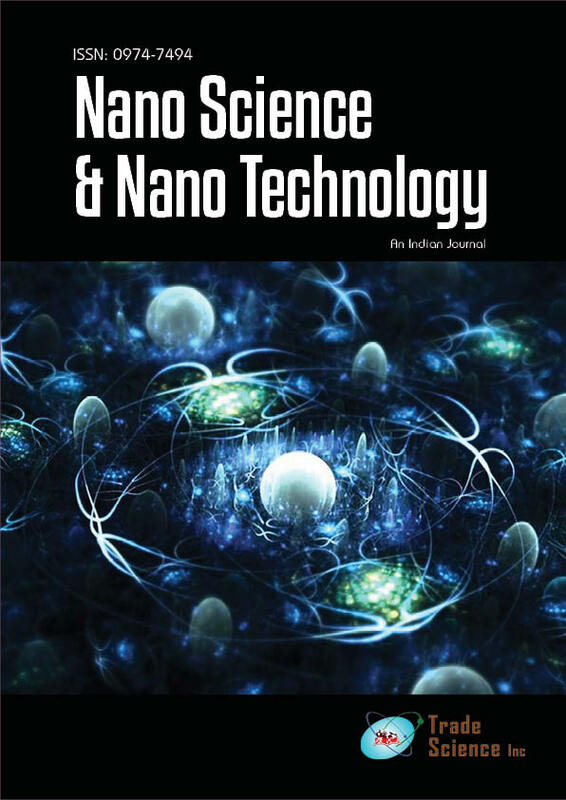 • Nano Science & Nano Technology: An Indian Journal provides an effective way to publish Original articles, reviews, short communications, rapid communications, letters to the editor, case-reports. • Nano Science & Nano Technology: An Indian Journal publishes one volume each year with new articles being added instantly. The journal encourages research scientists, faculty, and students who are actively involved in scientific research and/or teaching at all levels, to submit their articles for intensive peer-reviewing and expedite publishing. Individuals from small and non-research oriented institutions are especially encouraged to submit their original articles for publication consideration. Indexed in: Directory of Research Journals, Google scholar,Chemical Abstract Service(CAS), CNKI, Open J-Gate and Secret Search Engine Labs. The morphology of WO3 is studied by AFM microscopy in order to specify the roughness which usually controls the movement of a free electron between the different layers which is fabricated t..
Cancer is a disease, in which the abnormal cells are rapidly grow in any part of body and spread via the bloodstream or lymphatic system to other parts of the body. Nanoparticles (NPs) are s..
Nano emulsion copolymers are stable liquid-in-liquid dispersions. Smaller particle size tends to result in promoting key properties such as high surface area per unit volume, gloss, washabli..